Meet Lizzie Stuart, an African-American crime historian from Drucilla, Kentucky. 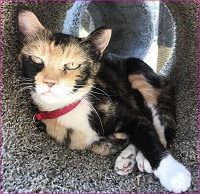 She is spending a week's vacation with her best friend, Tess, in Cornwall, England. The coastal town of St. Regis is a resort destination, and they are are staying in a quaint family-owned private hotel. Tess is a travel writer who is gathering local destinations and happenings for a feature. During a short stay in London before heading to Cornwall, Lizzie runs into Tess's ex-husband who gives her a package for Tess. After leaving him, Lizzie is accosted by a thug who tries to steal the package by shoving Lizzie into the path of an oncoming bus. The people staying at Gull's Nest with Lizzie and Tess are the Stillman clan. Father, mother, son, daughter-in-law, grandson, and Hildegard Martin. Sisters, Edith & Sarah along with their niece, Dee, own and operate the private hotel. Lizzie had already met Dee when she interrupted a fight between Dee and her boyfriend on the beach. Now Dee is trying to serve tea but is falling down drunk. Two days later, Lizzie follows Dee up a walking trail along the cliff and stops to chat. While sharing a snack, Dee goes into anaphylactic shock and is unable to find her adrenaline kit. When the police declare the incident a homicide, Lizzie is caught up in the investigation. Someone had substituted Dee's snack balls for ones that contained peanuts and had done so deliberately. One of the guests was the obvious suspect, but which one and why? While out sightseeing Lizzie is accosted by the same man who tried to steal her package in London. Who is this man? What does he want? What does Tess's ex-husband have to do with this psychopath? This was an extremely well-written first in a series. The characters are realistic, and the background and setting well drawn. The murder plot was extremely well done, with lots of twists, turns, red herrings, and a total surprise ending. I highly recommend this book to everyone who enjoys a good puzzle. I am looking forward to reading the next book in the series, A Dead Man's Honor (A Lizzie Stuart Mystery Book 2). There are currently four books in the series. 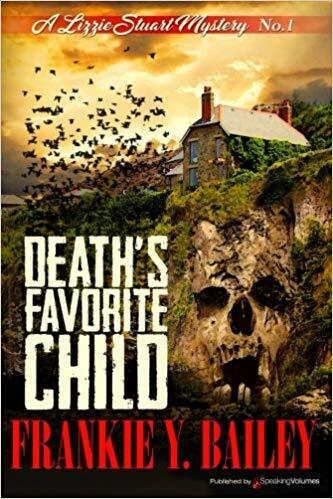 To enter to win a copy of Death’s Favorite Child, simply email KRL at krlcontests@gmail[dot]com by replacing the [dot] with a period, and with the subject line "child,” or comment on this article. A winner will be chosen January 26, 2019. U.S. residents only. If entering via email please include your mailing address (so if you win we can get the book sent right out to you), and if via comment please include your email address. You can read our privacy statement here if you like. Another new series to me. Sounds like a great first in the series.